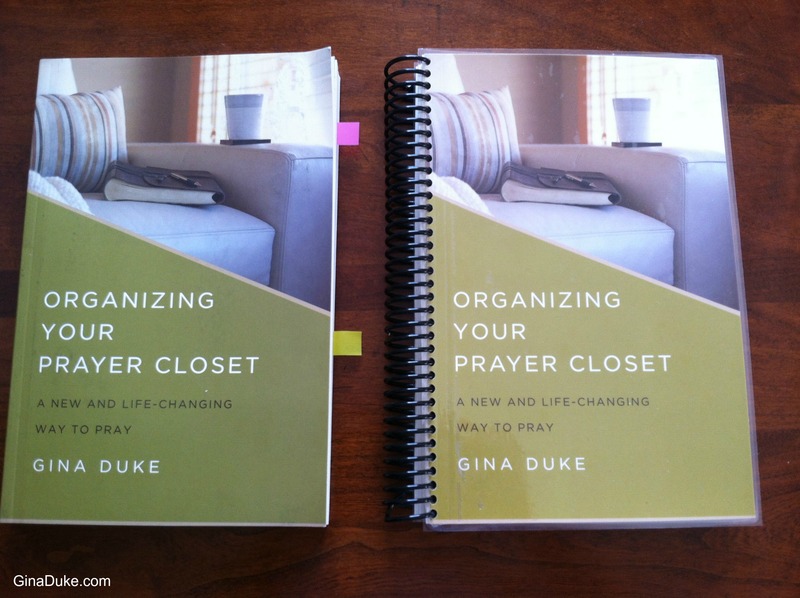 My book, Organizing Your Prayer Closet, contains a 60 week structured prayer journal, after 10 chapters that describes how to use the journal. Those whom use and love it often ask me if they can just get the journal to use in the future. That is up to my publisher, Abingdon Press, and hopefully one day! But, for now, you will need to purchase the book, Organizing Your Prayer Closet, year after year. I feel compelled to say that the tips and experiences that I have wrote in those first 10 chapters are worth reading again. Hopefully, you will glean some new prayer points each time you read through it. I’ve been playing around with different ways to house my journal. So far, and it is now October (month 10), I’ve been impressed with how well my book has held up in its original form. I use it multiple times a day. Sometimes I carry it in my purse. Most of the time I leave it lying around wherever. Despite my uncarefullness (okay, maybe that is not a real word), my copy of Organizing Your Prayer Closet is in very good condition. 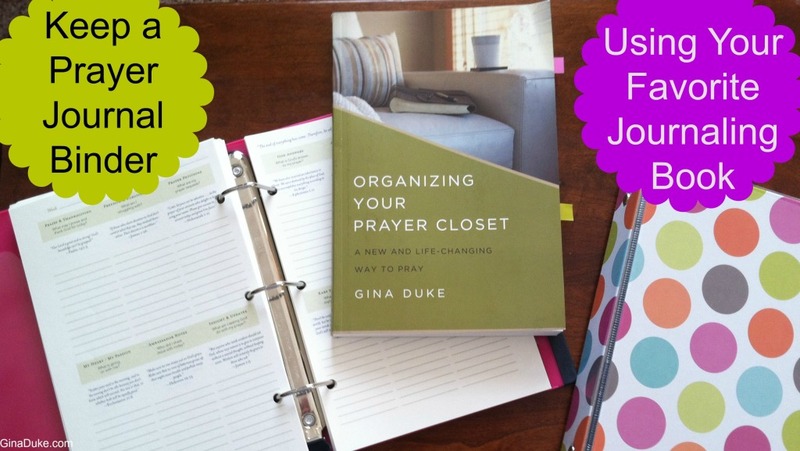 Organizing Your Prayer Closet retails for $16.99; however, you can get it up to $3 dollars less if you order it online. But, really, compared to what we pay for daily planners every year, that is a small price to pay to keep up with our spiritual matters. Agree? One thing I did was take my binder to an Office Depot and have them unbind the book so I could play with a couple of options. OPTION 1: Wire Bound. I know a lot of women who love to take their latest Bible study book and get it wire bound like above. I even laminated the cover book. OPTION 2: Notebook. I also took another unbinded copy and hole-punched it for a small binder. I think they turned out well. It reminds me of my earlier prayer journals of when I used an Excel spreadsheet and a large binder. 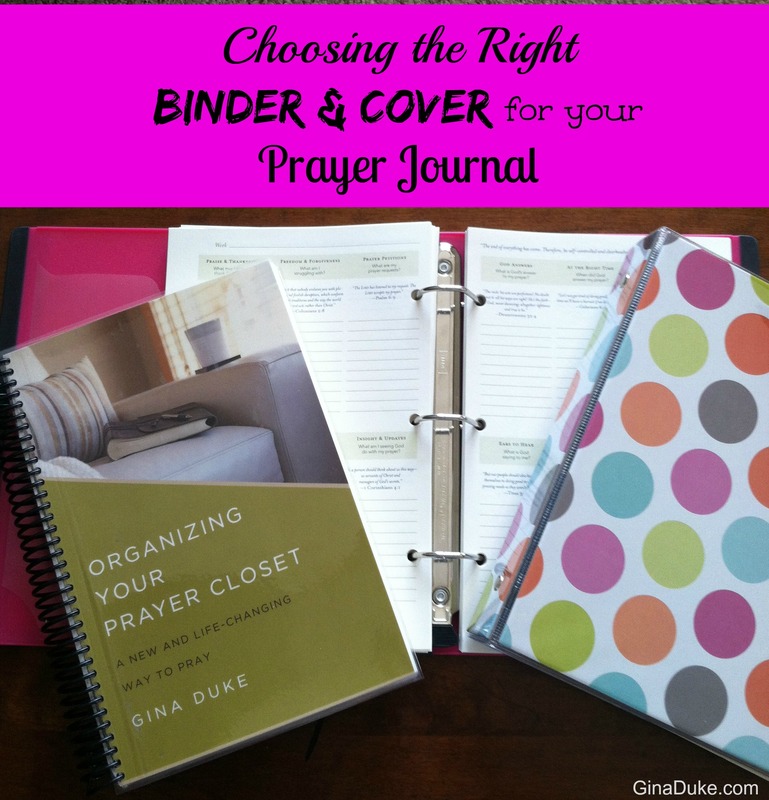 When you use a binder, you can typically store more notes, prayer lists, etc. in the pockets of the binder. Do you have any other ideas for housing your prayer journal??? Thx Sarah! I hope you enjoy it!!! Excited to hear that, Sarah! Let me know how you like it!